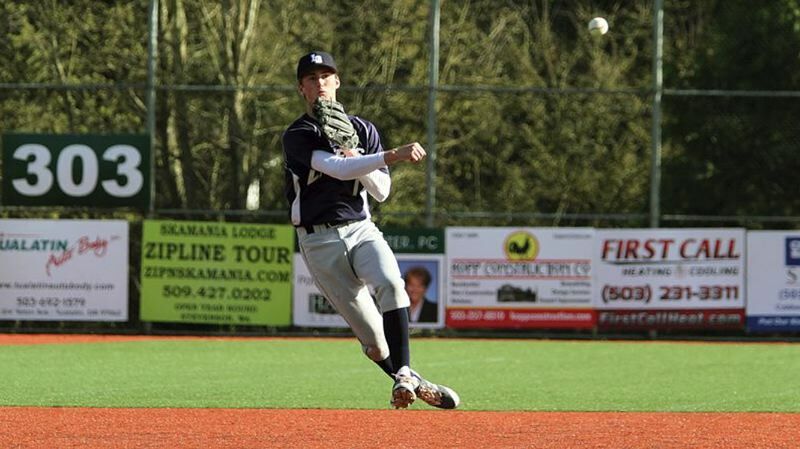 It may be summertime now, but the honors keep coming in for Lake Oswego's best baseball players. In the 2018 Class 6A all-state voting, graduated senior Jake Dukart was named to 6A first team as an infielder, while teammate Sam Haney — another graduated senior — earned a berth on the all-state honorable mention team. Together, Dukart and Haney helped the Lakers win a share of the TRL championship after Lake Oswego went 13-4 (tied with West Linn and Tualatin) and earned a berth in the Class 6A state playoffs. Previously, Dukart and Haney were both named to the all-TRL first team, Dukart at both shortstop and pitcher, and Haney in left field. According to Lake Oswego coach Jake Anders, both Dukart and Haney played huge roles in their team's success this season. In addition to their 13-4 league season, the Lakers won 12 of their final 15 games before being upset in the first round of the Class 6A state playoffs. "Jake Dukart and Sam Haney were four- and three-year starters who were high-impact kids for LO," Anders said. "Jake Dukart was considered the top-rated player in the state of Oregon on some (Major League Baseball draft) boards and Sam was the heart and soul of our team culture." Dukart earned his honors at shortstop by batting .303 with seven doubles, two triples and two homers with 20 RBIs and 20 runs scored. He also had a .462 on-base percentage (best among Laker regulars), a team-high 19 walks and just eight strikeouts. He also handled 93 chances at shortstop, making 31 assists and 51 putouts with 11 errors. Haney got it done in his final Laker season, too, batting .297 with six doubles, a team-high four homers, a team-high 21 RBIs and 19 runs scored. He also had LO's second-most walks (13), second-best on-base percentage (.409) and third-best slugging percentage (.495) among its full-time starters. Defensively, Haney handled 43 chances with three assists, 39 putouts and just one error. Aaron Zavala of South Salem was named Class 6A Player of the Year, Westview's Willie Weiss was selected as Pitcher of the Year, and Westview's Matt Bailie was voted Coach of the Year.